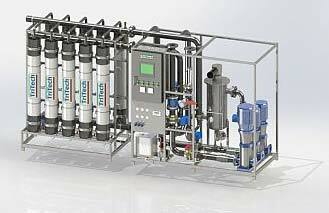 We are a noted Manufacturer and Supplier of Continuous Membrane Water Treatment Plant in Singapore. This Continuous Membrane Water Treatment Plant is efficient in removing problematic pathogens such as cryptosporidium and Giardia. Also, this Continuous Membrane Water Treatment Plant is useful in the recovery of useful material from industrial wastewater. Extraction, enrichment and separation for biomedical and f&b industries.